Working for yourself can be blissful. You’re the boss. You’re in charge of what you do and when you do it. If you want to take a walk in the middle of the day, or pick the kids up from school, or run to the store, you have the freedom! Isn’t it great? Working for yourself can be excruciating. You’re not accountable to anyone. 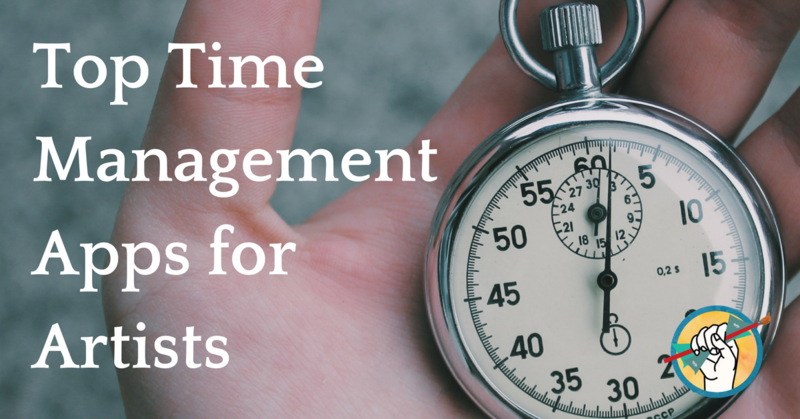 There’s no one to help you manage your time effectively. You can get sidetracked by a messy studio or social media, and before you know it the whole day has slipped away and you’ve accomplished nothing. Poor time management is the Achille’s heel of the otherwise talented and driven artist. Since ain’t nobody the boss but you, a time management app can help you hold yourself accountable and stay on track with your goals. It gives you a clear visualization of where you’re spending your time, what’s on your plate, and what you’ve accomplished. For very visual people, this can make a world of difference. Rescue time bills itself as an app that helps you recognize your habits so you can be more productive. If you’re like me, you might be balking a bit at the prospect of facing those habits, but it can be the key to improving your productivity. Complete control over when you measure your time spent online. Lite: Free. Track your time and access reports. Premium: $6.75/month. Track time, get alerts, block distracting websites. Bottom Line: If you’re spending too much time on Reddit, YouTube, or social media but find it challenging to moderate your usage, Rescue Time can give you valuable insights into where you’re spending your time and, for a small fee, help you block those sites so you can focus on the work you need to do. Cold Turkey blocks specific websites according to a schedule you’ve set, and if you try to access a blocked site it shows you a motivational quote instead. You can block an entire site, but whitelist certain pages (if, for example, you need to access a Facebook business page for work but don’t want to get distracted while you’re there). Pro: $19.34 one-time fee. Basic features plus scheduling, app blocking, daily time limits, and more. Platforms: macOS and Windows. Purchase once and install across all your platforms. Bottom Line: Cold Turkey takes RescueTime Lite one step further and allows you to block distracting websites for free in addition to providing usage data. If you already know you spend too much time on Facebook, it might be time to give it up Cold Turkey… at least during working hours. The one-time fee if you decide to upgrade is much more appealing than a subscription model, too. Single: $2.99/month. Includes unlimited passwords, the ability to restore deleted passwords, Travel Mode, and two-factor authentication for increased security. Family: $4.99/month. All features for up to 5 family members. Platforms: Mac, iOS, Windows, Android, and the web. Bottom Line: If you spend way too much time trying to remember your username/password combination for any given site and end up changing your password every time you try to log in, it might be time for a password manager. Those minutes add up! Insert “snippets” as you type. Information like email addresses, signatures, form letters, images, etc. are inserted into your text automatically via a computer shortcut or abbreviation. Cost: $3.33/month. Save an unlimited amount of snippets on all your devices. Includes email support. 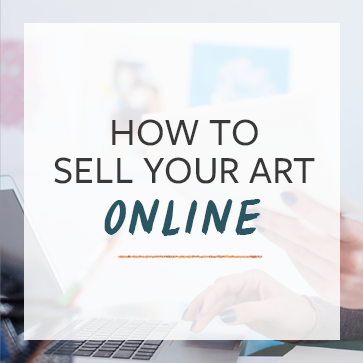 Bottom Line: Are you spending much of your time filling out applications or writing letters for art shows, galleries, etc? Save the information you keep repeating (contact information, your artist statement, important CV information) as snippets and cut down on the time you spend in front of the computer. That means more time for creating art. Export feature allows you to format your text into PDFs, Word docs, and eBooks. $4.99/month. Subscription unlocks the app across all iOS devices. Free 14-day trial. Bottom Line: If blog writing, process journaling, or any other kind of writing is a part of your daily routine, Ulysses can help you stay organized using a clean interface and quick, instantly-formatted publication to WordPress or Medium. The ability to save your text as a formatted PDF without requiring extra software is extremely useful! Context view allows you to see what projects you need to do and in what context you can accomplish them: at your desk, on the go, etc. Flag important projects that need immediate attention to keep your priorities straight. Quick app entry using a keyboard shortcut, so when you have an idea you can write it down right away. $40 Mac, standard. Standard features, macOS only. $70 Mac, pro. Enhanced features, macOS only. $40 iOS, standard. Standard features, iOS only. $60 iOS, pro. Enhanced features, iOS only. Bottom Line: Omnifocus is an all-encompassing project management tool that’s meant to help you organize your workflows for both professional and private life. As you may notice from the higher price tag, it’s a large program meant to be the single tool you need to run your entire business. A more significant investment, but for busy pros it is worth the price tag. If you are looking for other apps to help you stay productive and organized, try the top 5 inventory management apps and the top apps for previewing your art on a wall. Is there a productivity app you love that we didn’t mention? Let us know in the comments!